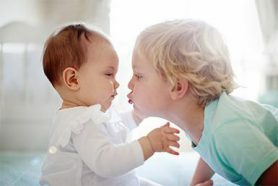 Baby brain expert Chantal Kemner is the principal researcher for YOUth, a large-scale Utrecht University study which monitors the development of children from the prenatal stage until adulthood. Professor Kemner’s inaugural lecture was titled Starting small, a theme she has elaborated on with YOUth: ‘To understand how people develop, you need to look at how they grow up. A lot has already happened in the life of a ten-year-old. If you want to find out the root cause of certain problems, you need to start small – with babies’. 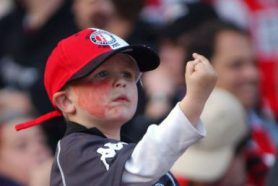 Kemner shows a photograph of a small Feyenoord football supporter, gesturing with an extended middle finger: ‘I wonder whether he’s doing this because he comes from a family where this is considered normal behaviour? The family in which he is raised and their financial possibilities for example, are key factors. Or perhaps his behaviour is associated with his genes, an inherited trait. It actually is even more complex than that, because we have learned that a child’s life experiences also affect gene activity. YOUth aims to ultimately create the most complete picture possible of all factors that can influence a child’s development. The researchers are collecting biological material in the form of blood, cheek cells and hair. 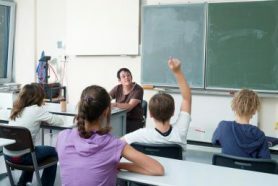 They are observing children’s behaviour and the interaction between children and their parents, and are asking questions about the environment in which the child is growing up. They are additionally measuring brain development based on 3D echoes during pregnancy, EEG scans for babies and MRI scans for older children. YOUth is looking for participants that live in or around Utrecht, can understand and read the Dutch language, are less than 18 weeks pregnant or have a son or daughter who is 8, 9 or 10 years of age. You can request more information via the YOUth website (Dutch only).